What Could Go Wrong with My Solar Install? The last thing anybody wants to think about when making a big decision is the multitude of ways everything could go wrong. Yet, the worst case scenario consistently and inevitably becomes one of the biggest factors in any decision making process. Take travelling for example. You hear about one bombing in Bangkok and suddenly start spreading the word to anyone and everyone about the dangers of Thailand. All the while, the vast majority of tourists go on enjoying Thailand’s floating markets and Goong Ten with nary more than a picked pocket and a tummy ache (seriously, look up Goong Ten — it’s not for the weak of stomach). 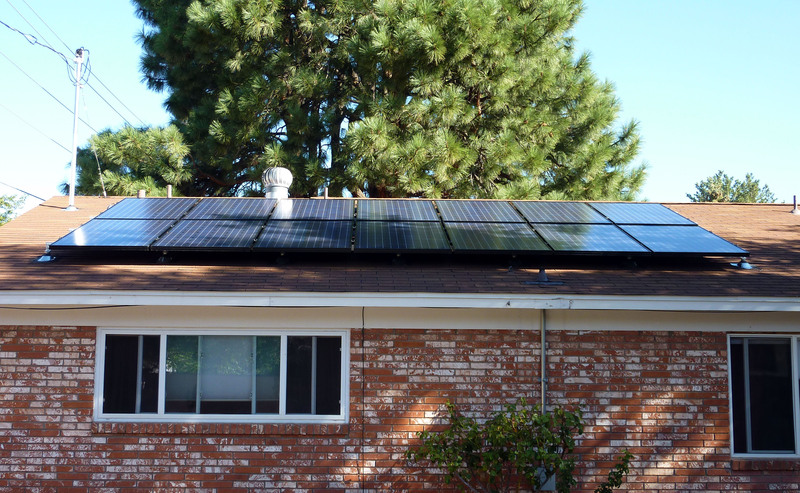 However, in the interest of good reporting and addressing irrational fears, I’m going to list some of the worst things that could go wrong with your residential solar system and what causes them. Then, I’m going to tell you why you shouldn’t worry about it. Hooray! All of these concerns fit into three basic categories (production failure, electrical failure, and structural failure) and they all fall into one person’s careful hands — your solar designer’s! Many states and jurisdictions require a licensed professional engineer to review the structural or electrical portion of a system’s design, but more often than not, your system is only being checked by your designer, your local permitting office, and your utility company. If by some miniscule chance one of these problems does arise with your system, you know who to blame. That’s why we put you in contact with trustworthy solar experts. On to the bad news! With the advent of power purchase agreements and solar loans, production targets have become the primary design goal of many systems. Gone are the days of selling a nice round number of kilowatts to a customer and working out the numbers from there. The creative financing in the modern solar industry relies on accurate production estimates from the day your system is turned on to twenty years in the future. These production estimates are based on a stack of factors ranging from the tilt of your roof to the weather patterns in your local area. The most obvious factor though is shading, either from neighboring houses, trees, or existing obstructions on your roof. So with all of these complications, it’s easy to see how things could go wrong. Though it varies depending upon your exact location, for most areas of the U.S., the best exposure will be seen on South-facing roof planes. The optimal tilt will depend upon your latitude; if your latitude is between 25° and 50° (anywhere in the U.S.), use the latitude, times 0.75 and add 3 degrees. Of course, if you already own a home, knowing the optimal tilt and azimuth (a fancy word for the direction your roof planes face) doesn’t help you — you’re stuck with what you’ve got. However, the emphasis placed upon these factors is well-placed, as inaccuracies in tilt and azimuth can affect the expected production, even in very minor situations, by as much as 5%. Fortunately, during the survey of your home, these factors should be accurately measured on site and used to calculate the exposure of various roof planes to the sun. The site visit should also include a shade assessment. While there are many different tools used to assess tree shade (Solmetrics, Sprite, Suneye, rusty chainsaw, etc. ), care must be taken during the site visit and design process to record and interpret these readings accurately. Shading can have a greater affect on solar arrays than you would expect, as shade in one area of the panel affects the production of the entire panel and shade in one area of the array affects the production of the entire array. Systems are designed to current shade estimates, so remember that your trees will need to be maintained in order to keep your estimates as accurate as possible. Make sure that your sales rep understands which trees can stay and which, if any, can go in order to reach your production goals. This will help the design process run smoothly. Another important factor in system design is the sizing of the equipment and stringing (electrical connections) of the modules. Solar panels output DC current which must be converted to AC current for residential applications. This process is carried out by an inverter, more on that here. Under certain weather conditions like extremely sunny days, inverters with a high DC-to-AC ratio may begin to clip power. This sounds bad and will obviously result in a loss of production during that time, but may result in an overall increase in production throughout the year. The graphs above demonstrate the benefit of oversizing the system for the inverter; the green line shows the power output of a system with a high DC-to-AC ratio and the yellow line shows the power output of a system with a lower DC-to-AC ratio. While the green line experiences clipping on very sunny days, it produces more on average days. So while this may seem like an error, it’s actually beneficial in many instances. Actual electrical failure can occur when module stringing is not designed correctly (i.e. not enough panels are producing at the same time to turn on the inverter), wire lengths are not properly accounted for and result in a significant voltage drop, or the method of tying the system into your home’s electrical setup does not provide sufficient overcurrent protection. However, all of this should be totally within the expertise of your solar designer’s skill set to size correctly. Basically, as long as you don’t let any old shmuck design your system (regardless of whether they stayed in a Holiday Inn last night), you shouldn’t have to worry about electrical failure. Feel free to ask questions when it comes to the equipment selected for your system, but keep in mind that some otherwise desirable manufacturers may not be the best fit for your system due to the stringing or layout of the modules. If your system ever fails to turn on or produce as much as predicted, contact your trusty solar installer and someone will be sent out to check on the inverter outputs. While seemingly unlikely, structural failure must be considered in any situation in which additional loads are being attached to a roof. Most solar panels and the required mounting hardware will only add roughly 3-4 PSF to the mounting area. However, additional factors such as snow load, wind speed, and live load (i.e. installers walking around on your roof), must be taken into account as well. Snow load considerations are typically determined by the local permitting authority based on your home’s location (e.g. city, county, elevation, etc.). The same goes for wind speed, which will be used in calculations to determine the hardware’s suitability. Once these factors are determined, they must be applied to your home’s structure to decide whether it can handle the additional loading. Specific information regarding your home’s structure should be documented during the surveyor’s visit. Precise roof and attic measurements should be taken to avoid catastrophic failure (see above). Just kidding – as is the case with all of these types of failure, no reputable solar company would ever risk mounting on a roof with questionable structural integrity. Barring some unforeseeable natural disaster (Sharknado 4 maybe? ), anything that goes up on your roof will be accounted for with a sizeable safety factor. 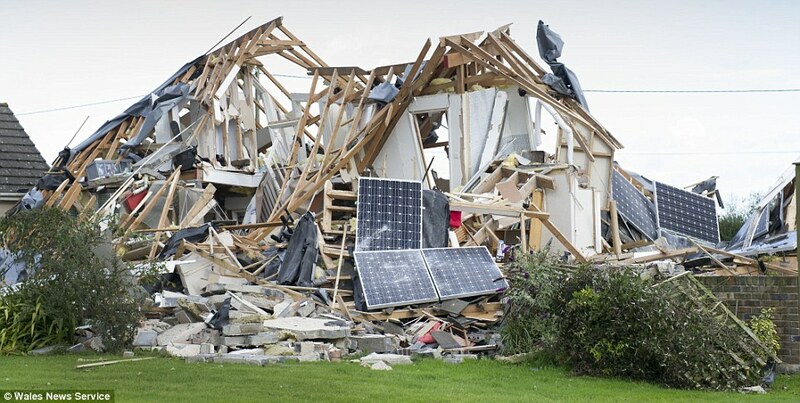 While all of these disasters could occur, especially in instances of DIY solar installations, they are highly unlikely when in the hands of solar professionals. Further, many solar companies offer production guarantees, monitoring, and ongoing maintenance to sooth any irrational fears you may still have. Our step-by-step guide to going solar How can I tell if my solar panels are working properly? Should you install more solar, or add batteries? Should I install solar now, or wait until the cost goes down?